A quick review of Gordie Howe’s career on the ice suggests that he suffered at least six concussions in his time (Head Count, February 10). Another question might be: how many did he cause? 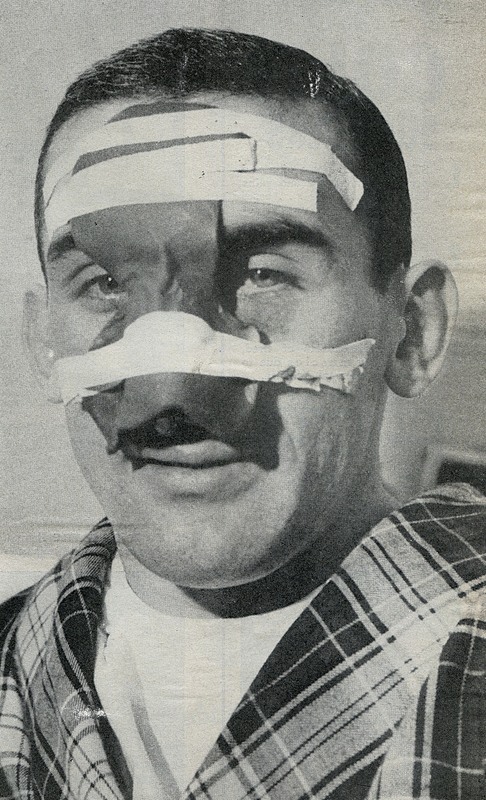 Don’t Mess Around With Gordie: Lou Fontinato at the hospital, February 1, 1959. They don’t keep stats on this at the NHL, and (so far) there aren’t any independent tracker websites, either. 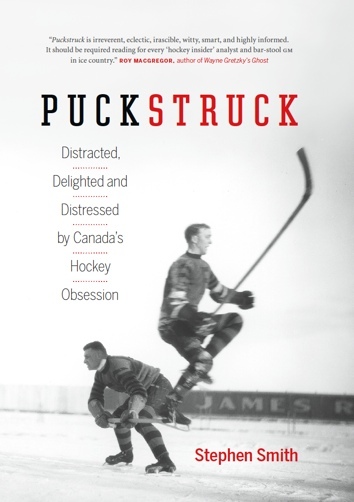 As with the hits to Howe’s head, this is an all-anecdotal study, non-definitive, unmedical, considered accurate to within plus or minus a number we haven’t really figured out yet, altogether without prejudice, not to be tried at home, nor shown to unaccompanied minors or anyone else liable to get the wrong idea about hockey. Just a teenager, Howe didn’t back down; in fact, he knocked out Richard with one punch. Years later, Howe would knock Richard out of the record books as well. On Jan. 16, 1960, Howe had a goal and an assist to pass Richard as the NHL’s all-time leading scorer. He later scored his 545th career goal (Nov. 10, 1963) to pass Richard as the most prolific goal-scorer in the game.